Episode 14: "An Exhibit in Wax"
Charlie Chan and Inspector Duff are members of a guided tour of Madame Tussaud's wax museum. A new arrival, Allen Roberts, asks the guide, Mr. Wallace the whereabouts of the wax figure of Edward Simpson, the Brighton Murderer. Directed to the exhibit, he suddenly violently attacks the figure with his cane. Upon questioning, Roberts, who works for the Bank of England, claims his action was due to "an angry impulse." Agreeing to pay for the damages he is allowed to go. The wax figure was that of a murderer who was hanged thirty years earlier for the crime of killing his wife, his broken glasses found with the body being the main evidence of his conviction. Chan notes that the face of the figure of Simpson bears a striking resemblance to that of Allen Roberts, and suggests to the Inspector that he may be very interested in finding the reason why Roberts attacked the wax figure of the killer. At his home, Roberts receives an anonymous telephone call from someone who knows of the incident earlier that day at Toussaud's museum, revealing that he is aware of the truth that Roberts is the son of the murderer, Edward Simpson. Seeking to blackmail Roberts with the threat of revealing that information and thus ruin his reputation with the Bank of England, the caller tells Roberts to leave a thousand pounds in cash inside the Marble Arch entrance at Hyde Park in an hour. At work later that day, Roberts asks his secretary, Miss Dawson, to withdraw a thousand pounds from his personal account. Before leaving on his errand, he removes a gun from his desk drawer. At inspector Duff's office at Scotland Yard, Chan and the inspector discuss the Simpson case, noting that the killer had a ten-month-old son who was placed in an orphanage after the killing. Chan note that that would now make the son about thirty years old, which could point to Roberts being that lost son. Noting that no fingerprints were found at the crime thirty years ago, Duff remarks that gloves may have been used in the crime. However, Chan points out that the murder weapon, a small figurine, is not the sort of weapon that would be common in a premeditated killing. He goes on to remind the inspector how Simpson claimed he had arrived at his home, heard a scream, and was then attacked by an unseen assailant, and, reviving later, he found his wife dead. Duff states that the evidence found at the scene, the broken pair of glasses belonging to Simpson, found in his wife's hand and with one lens under her body, showing a struggle, was sufficient to reach a solid conviction. Two revelations now arrive at Duff’s office. First, it is revealed that Roberts is, indeed, the son of Edward Simpson, having been adopted thirty years ago, and that Roberts had made the inquiry at the orphanage himself earlier that morning. However, another inquiry had been made by a Dr. Antrum, the optometrist who had been asked by Wallace from the wax museum to craft new lenses to replace the shattered ones for Simpson’s glasses on display at the museum. At Dr. Antrum's optometry shop, Chan learns that it was not Antrum who had made the inquiry at the orphanage, but someone posing as him. Antrum tells the detective that had he known that Roberts was Simpson's son and that he worked at the Bank of England, he could have asked one of his customers, John Kingsley, who was a friend of Simpson's and who had been the executor of Simpson’s estate. Visiting John Kingsley at the Bank of England, Chan is told that the reason he never told Roberts the truth about Simpson being his father and that Kingsley had become a father figure to the young bank employee. After Chan suggests that Roberts may be the victim of blackmail, in order to keep the truth of his true fathers identity a secret, it is revealed that Roberts had made his substantial withdrawal that morning. As the detective visits George Winslow, he is told by the attorney that he knew nothing of the true relationship between his former client and Allen Roberts. Before departing his office, Chan notes that Winslow, who is not wearing glasses, definitely has need of them. Inspector Duff receives a call from Wallace from the optometrist's office where the doctor has been found shot dead. At Antrum's shop, the inspector and Chan find a thousand pounds cash near the body as well as an envelope bearing the initials "A.R." At Duff's office, it is determined that Roberts' gun has not been fired recently, if ever. Chan and the inspector reveal their knowledge of his being blackmailed due to the truth of his true father's identity. A police chemist tells Chan and Duff that the prescription found at Antrum's shop for the glasses worn by Simpson differed from the glasses found at the murder scene of Simpson's wife thirty years earlier. Chan suggests that, as Antrum would have known that the glasses worn by Simpson's wax figure were of the exact lens type used by another of his patients, that the doctor's silence would be very valuable to that patient. At Toussaud's wax museum, Chan is told that all of Simpson's personal effects worn by the wax figure, including the glasses, were provided by John Kingsley. Later, Kingsley says that he had no idea that Simpson's effects had been turned over to the museum and that he would never have agreed to that. He also relates how he and George Winslow were to have met Edward Simpson at his home to discuss a business venture. Kingsley was the one who had arrived to find a Simpson in a state of shock with his dead wife’s body, and George Winslow had never arrived as he had had an automobile accident just two streets from Simpson's house. At Madame Toussaud's museum, a new figure has now replaced that of Edward Simpson. 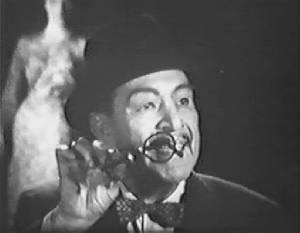 Charlie Chan has brought a pair of glasses matching those worn by the true killer, George Winslow. On the night of the murder of Mrs. Simpson, Winslow had been involved on an automobile accident caused by his not wearing his glasses. Thirty years later, it was proven that the lens found beneath Mrs. Simpson's body was an exact match for that prescribed for Wallace. Because the frames found at the murder had been his, Edward Simpson had never questioned that those found at the scene were his, thus his wrongful conviction. 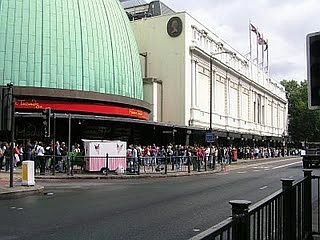 Madame Tussaud's - A wax museum in London with branches in a number of major cities. It was founded on London's Baker Street by wax sculptor Marie Tussaud in 1835. By 1883 the space limitations and the rising cost of the Baker Street site prompted Toussaud's grandson, Joseph Randall, to commission the building at its current location on Marylebone Road. Madame Tussaud's is a major tourist attraction in London, England, displaying waxworks of historical and royal figures, film stars, sports stars, and famous murderers. The Marble Arch - Designed in 1825 by John Nash, the Marble Arch was intended as a ceremonial entrance to the new Buckingham Palace, which he was then rebuilding from the former Buckingham House. Construction began in 1827, but was cut short in 1830 because of rising costs. Work restarted in 1832, this time under the supervision of Edward Blore, and the arch was completed the following year. 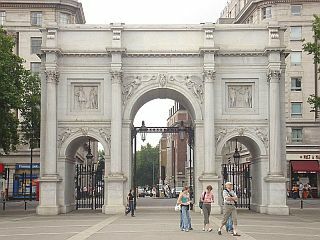 In 1851 the arch was moved to its present location in Hyde Park on a large traffic island at the junction of Oxford Street, Park Lane, and Edgware Road. 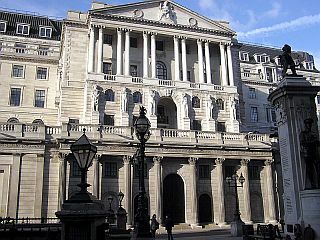 The Bank of England - The central bank of the United Kingdom. Established in 1694, it is the second oldest central bank in the world and was established to act as the English Government's banker, which is still the case to this day. The Bank's headquarters has been located in London's main financial district, the City of London, on Threadneedle Street, since 1734. Knowledge is the only medicine to cure itch of curiosity. It is said one hour's conversation with superior person is better than many years' study. Small, but high-storied buildings, rise from gradual accumulation of small bricks.